Galle is located on the southwest tip of Sri Lanka. A UNESCO World Heritage Site and an ideal place to witness Singhalese culture, this historic city is one of the most popular tourist attractions of Lanka. Dutch colonial buildings, Portuguese heritage, ancient mosques and churches, grand mansions and museums — are just a few of the spots keenly explored by traversing culture vultures. You will find that the rich heritage of the place well preserved in every inch of the city. One such preserved heritage site is the Closenberg Heritage Hotel. Closenberg Hotel is a three-star heritage hotel located in Galle, Sri Lanka and is approximately 110 km South of the capital Colombo. It offers a spectacular view of Galle Fort, Galle harbour and Rumassala mountain. The hotel rests atop a peninsula, which is flanked by Magalle and Dewata Bay. Closenberg heritage hotel offers authentic heritage experience, lush tropical gardens, panoramic view of the ocean and fine dining. Closenberg has a rich legacy. In 1719, the Dutch built a fortalice on Klossenburg, which was an island in the Galle harbour. Klossenburg translates to ‘ citadel on which the sea roars’. Then in 1790, when the British arrived, the fortalice lay abandoned. Later in 1860, Captain Bayley built a majestic mansion on top of the Dutch ruins on the island. The mansion was called ‘ Villa Marina’, as an ode to his wife. The mansion had a blend of Dutch and British style of architecture. Further, it was sold to Simon Perera Abeywardene, in 1889. Abeywardene changed its name to ‘Closenberg’ and in 1965, it was converted into a heritage hotel. 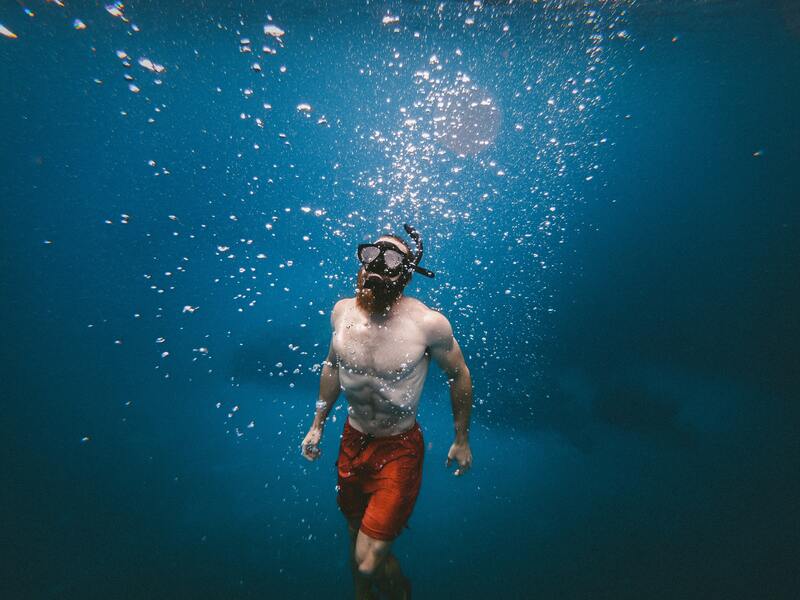 There are many places to visit around the hotel that make for a worthwhile afternoon spend. If you want to explore the unique Ceylonese cultural heritage of the town then pay a visit to these stopovers. 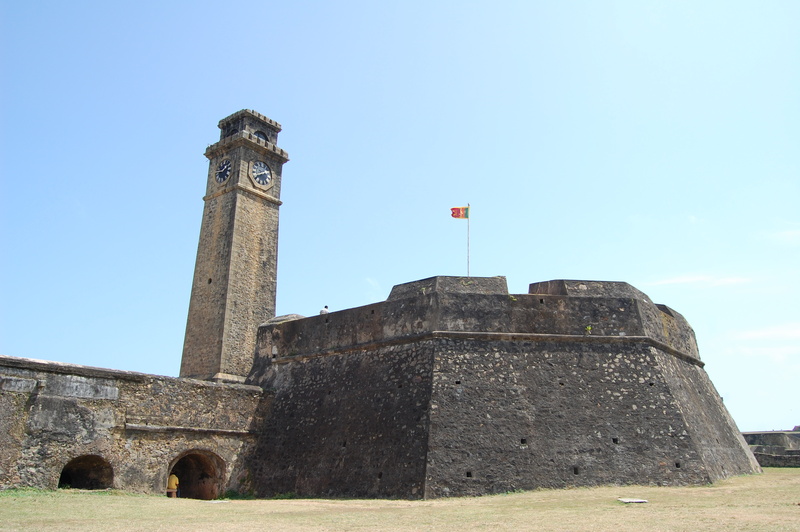 It is a magnificent fort constructed by Portuguese in the late 16th Century and fortified by the Dutch in the mid 17th Century. It is commonly referred to as the Dutch Fort. It is located on top of the Rumassala Hill. This massive white structure offers a beautiful view of the entire ocean. 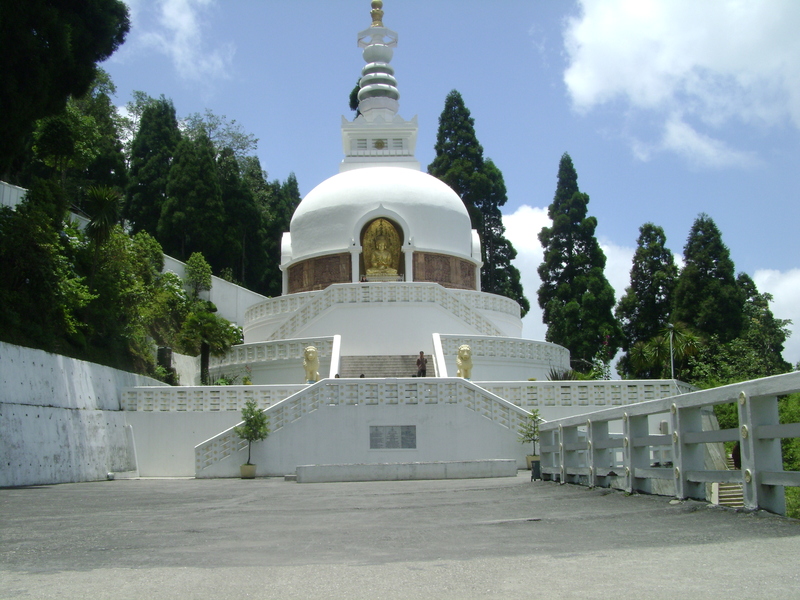 Japanese Peace Pagoda is an epitome of purity and serenity and can be seen from Unawatuna and Galle beaches. You can go for snorkelling, swim or just laze around on the Jungle Beach. There are also many cafes on the beach that serve the tropical cuisine from the island. 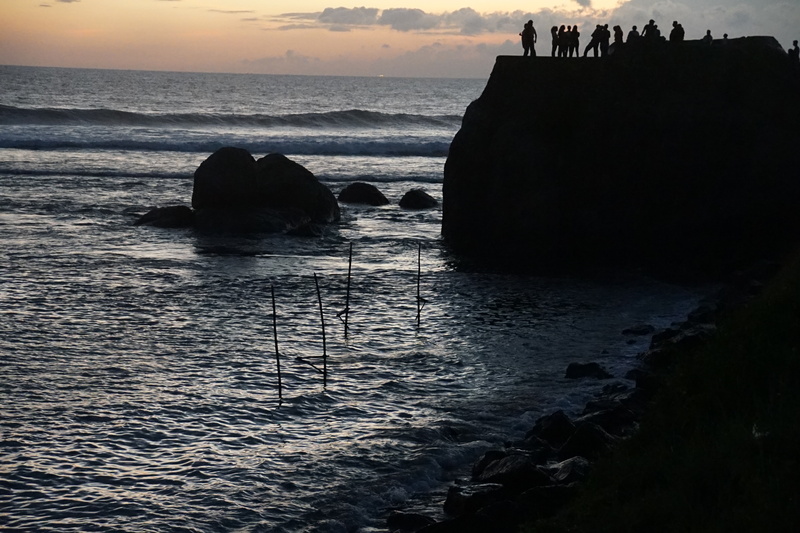 Enjoy a peaceful evening by watching the sunset on the horizon, hear the seagulls and the splash of ocean waves at Galle Flag Rock Bastion. You can also locate the Lighthouse and Gunpowder Museum from here. 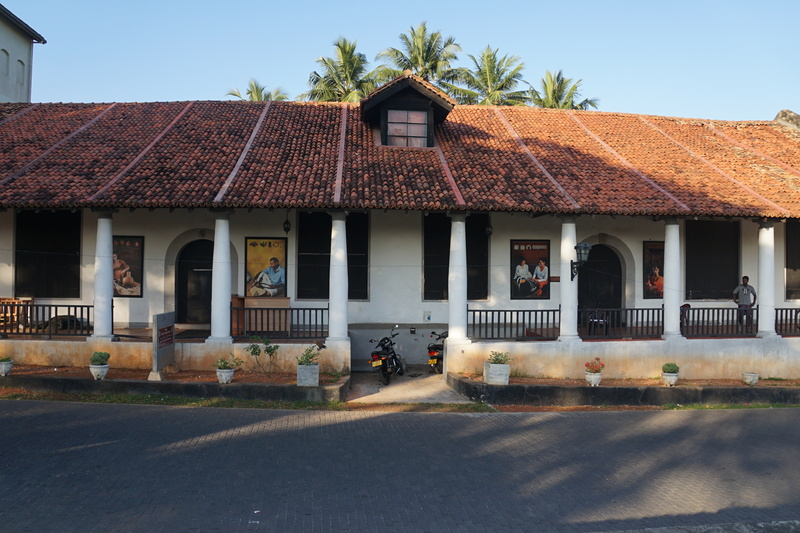 Acquaint yourself with the rich and vibrant past of Sri Lanka at Galle Museum. It houses artwork and relics from the Anuradhapura Kingdom, which dates back to 4th Century B.C. The National Maritime Museum also offers a look into the shipping roots of Sri Lanka. If you are the one to be indoors though, the Closenberg doesn’t disappoint. The ambience of each room provides a sense of comfort and all the rooms are sea facing. When it comes to food, the hotel offers all kind of world cuisines, fresh seafood dishes and southern style Sri Lankan curries. Besides, there is also a cocktail bar consisting of fine liquor and wines from all over the world and a unique range of classic and signature cocktails. One can dine either indoor or outdoor. The indoors are made up of ancient marble floors and the dining hall is decorated with large 19th-century coral sculptures. One of the key features of the heritage hotel is Luna Terrace. The terrace consists of a crescent-shaped 180-degree infinity pool and an underwater sound system, a cocktail bar and a Japanese Sushi kitchen. It provides a magnificent view of Rumassala mountain, Galle Bay and the Indian Ocean. Numerous events from literature gatherings to showcasing international DJs and musicians are hosted here. Galle and the Closenberg Heritage Hotel offer reasons aplenty to choose the exploration of this Sri Lankan town. The heritage hotel serves as an exclusive destination for weddings too in Sri Lanka. The ideal location and the colonial ballroom, adorned with 19th Century Burma teak floors create a perfect setting for small intimate gatherings and large celebrations, as well. Besides, the Luna Terrace, Fernery Restaurant and gardens can also be used as wedding spaces. Thus, Closenberg Heritage Hotel is worth a visit, due to its colonial splendour, lush tropical gardens and breathtaking views of the Galle Fort and Rumassala Mountain. Check out this luxurious heritage hotel, as seen in TheVibe Visuals.